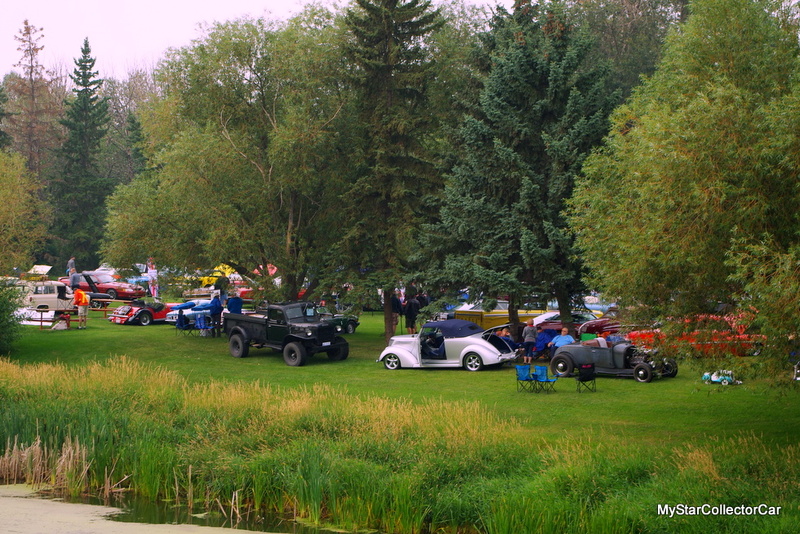 MyStarCollectorCar was on the road to St Albert, Alberta this past weekend for their annual Rock’n August car show held on the grass in their famous park system. 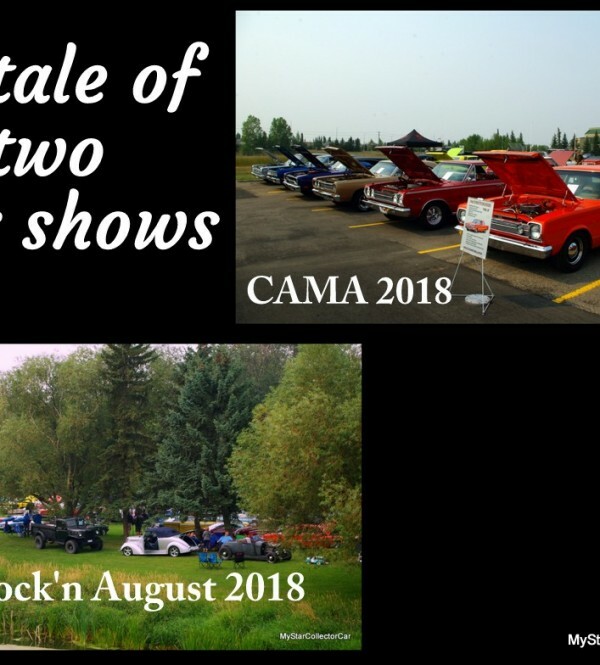 We were also able to attend the annual Central Alberta Mopar Association show held in Red Deer, Alberta on the same day because the two communities are only about an hour and a half from each other. The St Albert Rock’n August show starts on the Tuesday prior to the big event on Saturday and the momentum builds throughout the entire week. 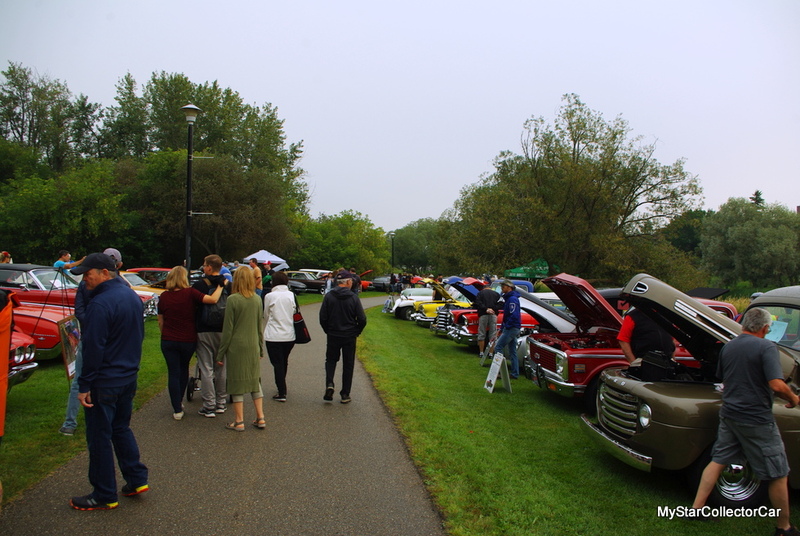 There are so many vintage vehicles at the Saturday show that MyStarCollectorCar is always blown away by the event. This year we were able to connect with the owner of a muscled-out 1970 AMX that was equipped with Group 15 options, according to its owner. 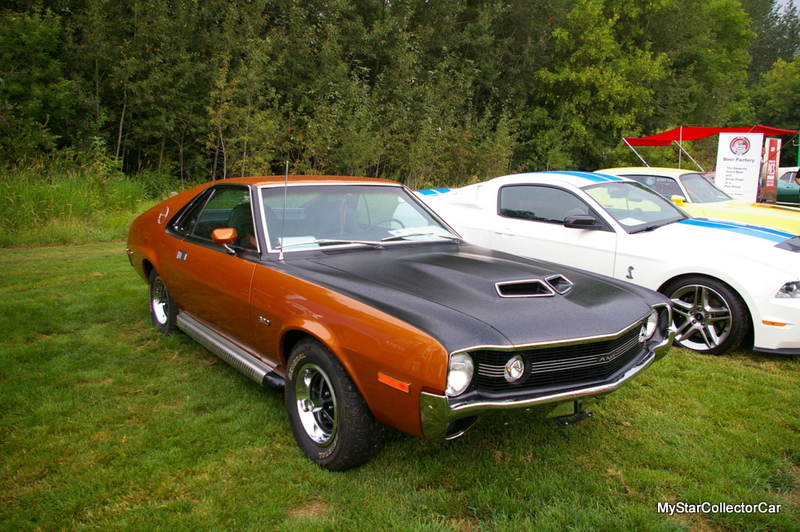 MyStarCollectorCar will share his knowledge with our readers about his rare ’70 AMX in a future article. 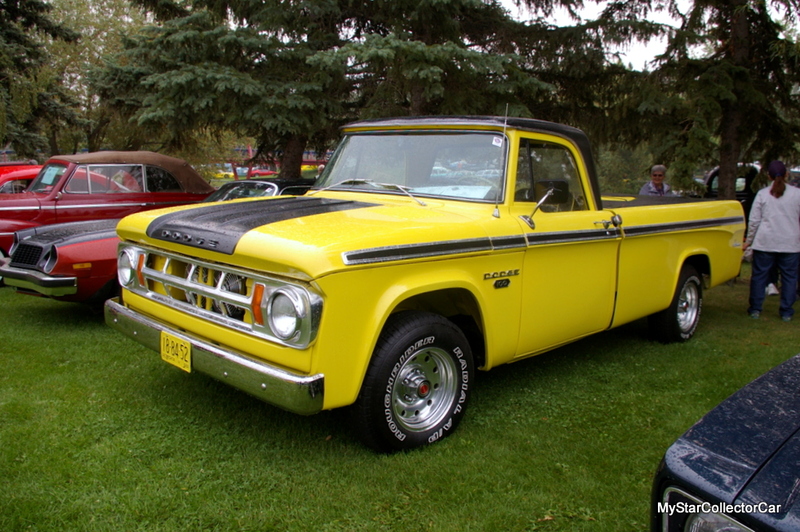 A 1968 Dodge D-100 ½ ton had a long history with one family and MyStarCollectorCar found its current owner (who was the son of the last owner). This unique Dodge Sweptline truck is a priceless family heirloom for its current owner and MSCC will feature this Mopar truck’s story in a future piece. 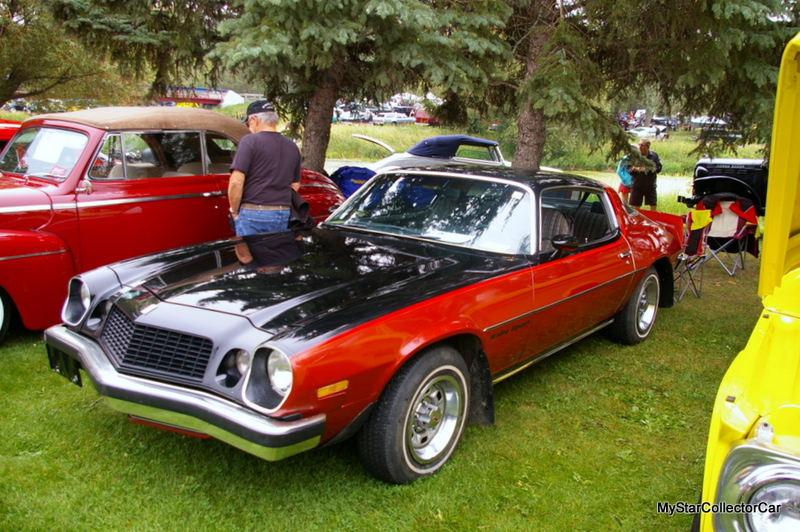 A 1976 Camaro Rally Sport was parked right beside the ’69 Dodge D-100 truck and there was a great reason for the owner’s location choice. The Camaro’s young owner told MyStarCollectorCar why he was the new owner of this classic 42-year-old car built by Chevrolet during the Me Decade-and MyStar will share the story in a future article. 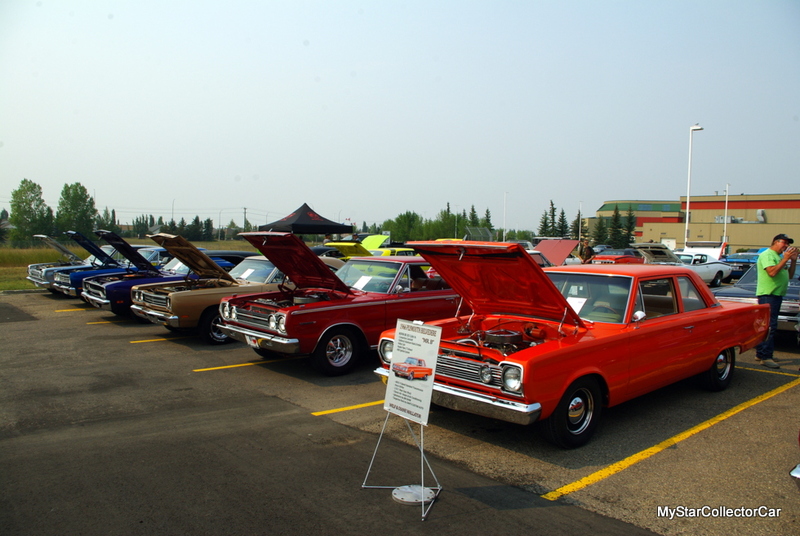 A 1964 Acadian Canso also grabbed our attention at the St Albert Rock’n August show. 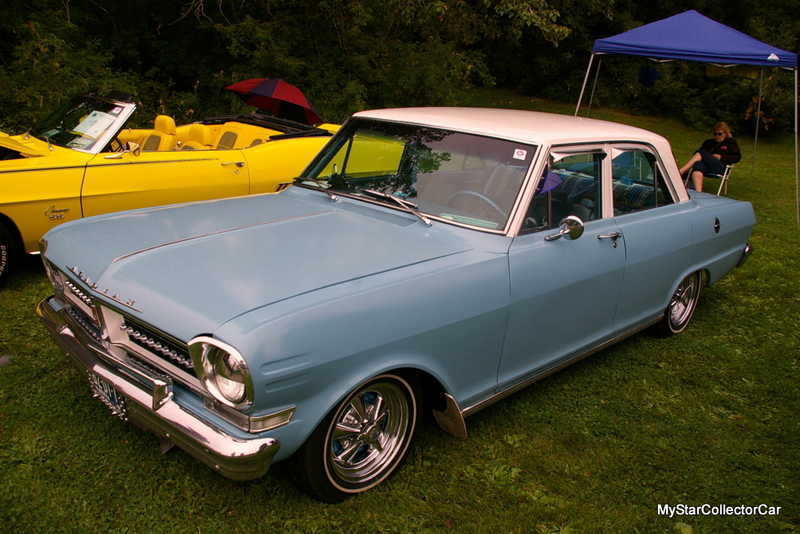 An Acadian Canso is a Canadian-only version of the Chevy II and is a rare guest at any car show in 2018. The car’s entertaining owner was able to fill in the blanks about his 55-year-old Canuck car and MyStarCollectorCar will feature the story in a future piece. The Brady Bunch angle was evident when MyStarCollectorCar interviewed the owner of a 1972 Plymouth Satellite station wagon. 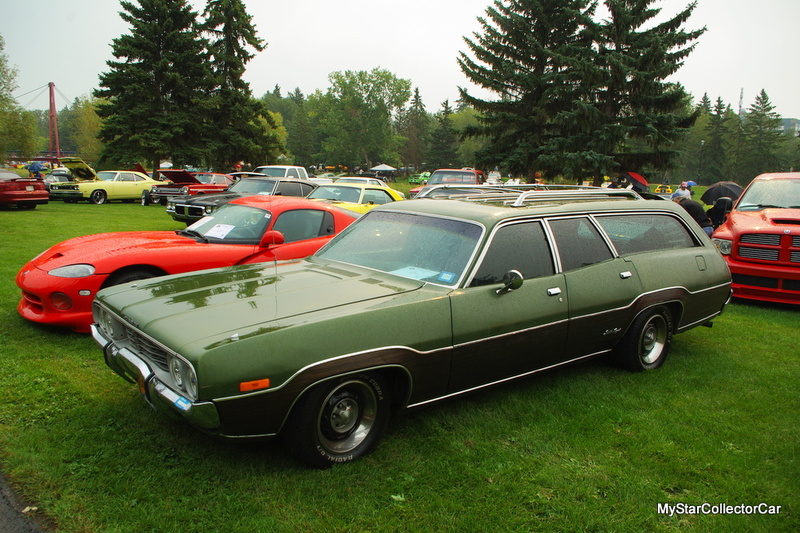 TV buffs will recall that TV’s Brady Bunch family owned a similar wagon and MSCC spotted this ’72 Plymouth wagon at last year’s Rock’n August show. This year we were able to track down its owner and get all of the details about why he and his family loves this wagon. Look for the full story in a future MSCC article. 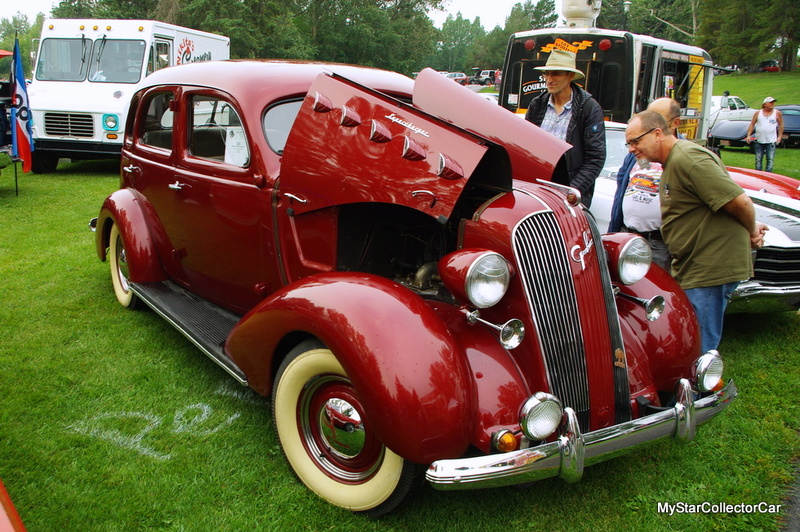 A 1937 Graham 116 Supercharger four-door sedan was also at the show. The owner was a colorful character who told some great stories about his unusual car and MyStarCollectorCar will relay this information to our readers in a future article. 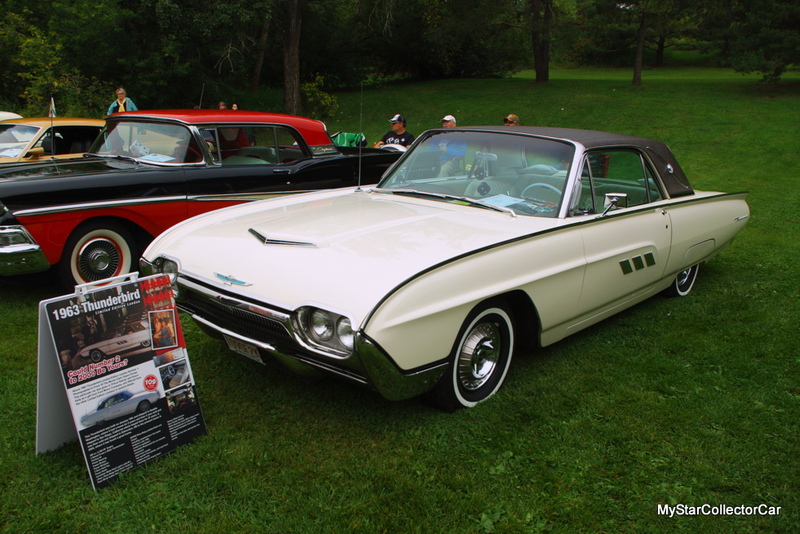 The Ford Thunderbird was known as a “Bullet Bird” because of its style in 1963 and MyStarCollectorCar was able to connect with the owner of a very rare edition of this legendary Thunderbird. It’s called a 1963 Ford Limited Edition Landau model and MyStar readers can look for the full story (including its connection to Princess Grace) behind this rare ‘Bird in a future MSCC article. 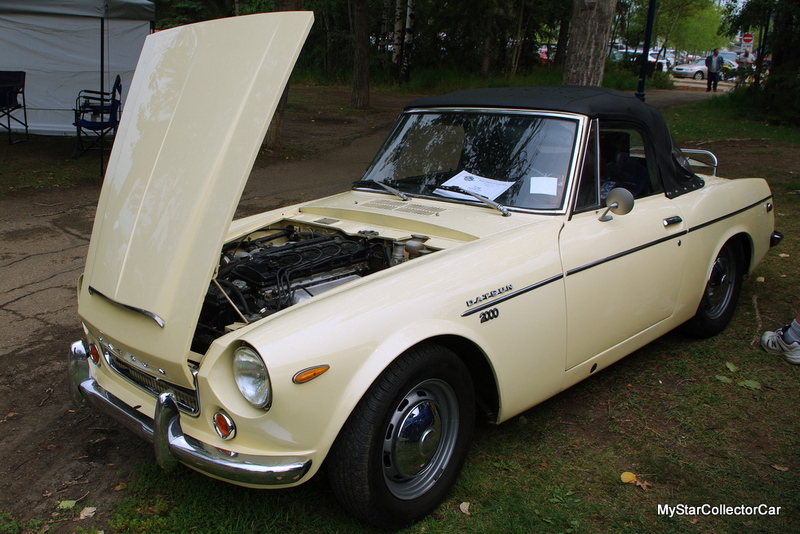 A 1969 Datsun 2000 convertible is also a rare vehicle. A ’69 Datsun 2000 with a beast of a DOHC engine under its hood is an even rarer car and MyStarCollectorCar spotted this resto mod version at the Rock’n August show. MSCC is confident we can track down the Datsun sports car’s owner for a future article about this wild ride. 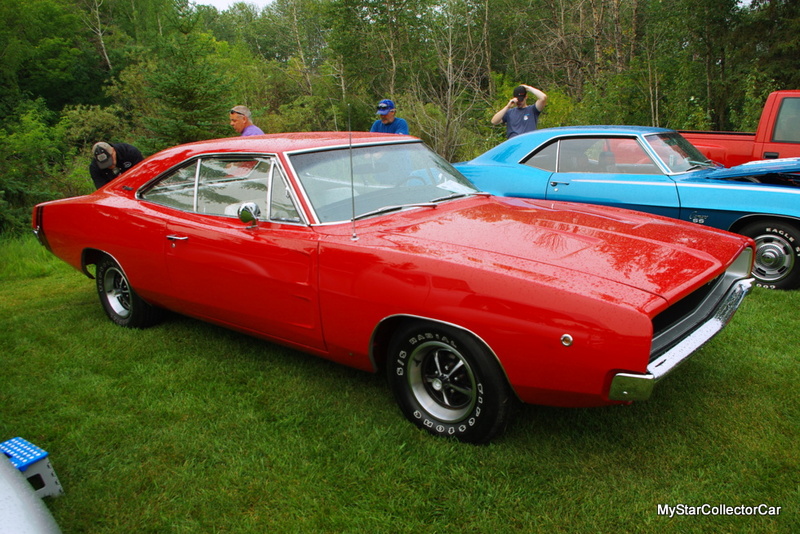 An authentic 1968 Dodge Charger 440 RT received plenty of attention at the St Albert Rock’n August car show and MyStarCollectorCar interviewed its owner about his very cool Mopar for a future MSCC article. Here’s a hint–he’s owned his classic Mopar for a long time. 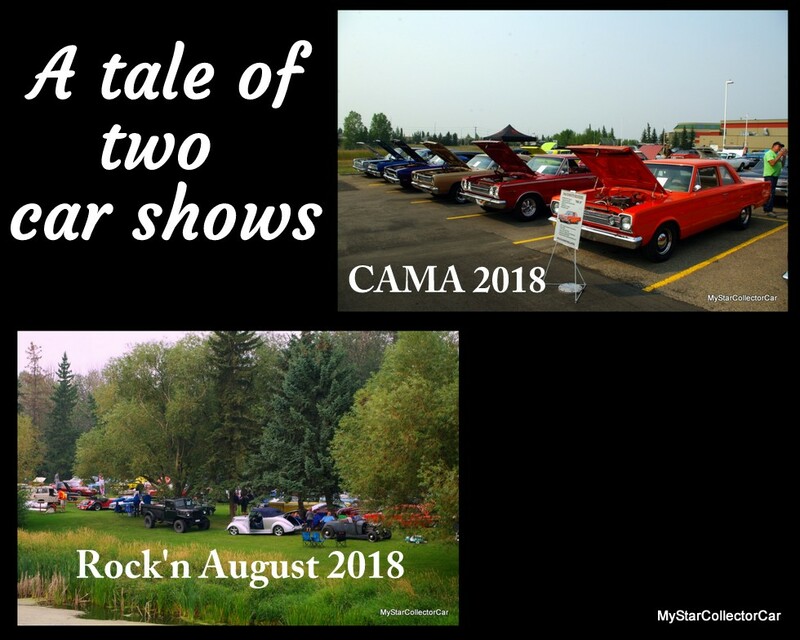 As mentioned, the spectacular St Albert Rock’n August show was the first half of a car show double-header this past Saturday because MyStarCollectorCar headed to Red Deer for the Central Alberta Mopar Association’s annual show. 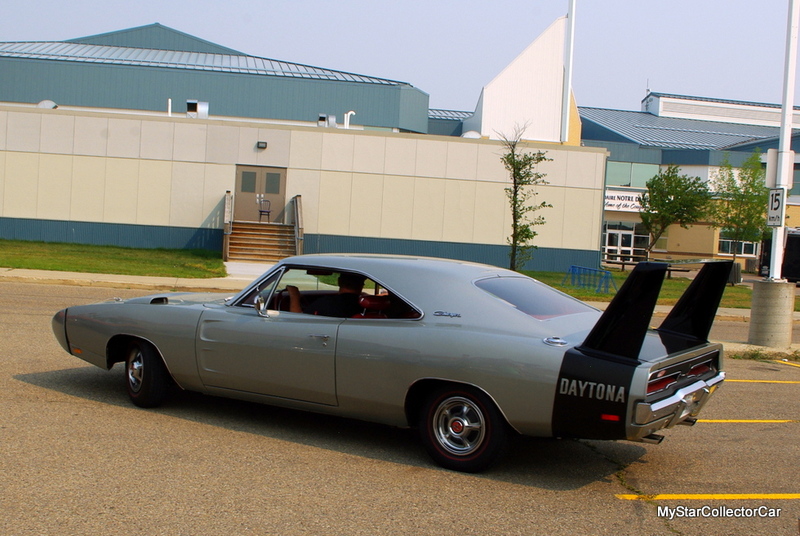 A one-of-a-kind 1969 Dodge Charger Daytona was at the Mopar show and MyStarCollectorCar was able to find out what makes this extremely rare muscle car even rarer in the hobby. Learn all about the car in a future MSCC article. 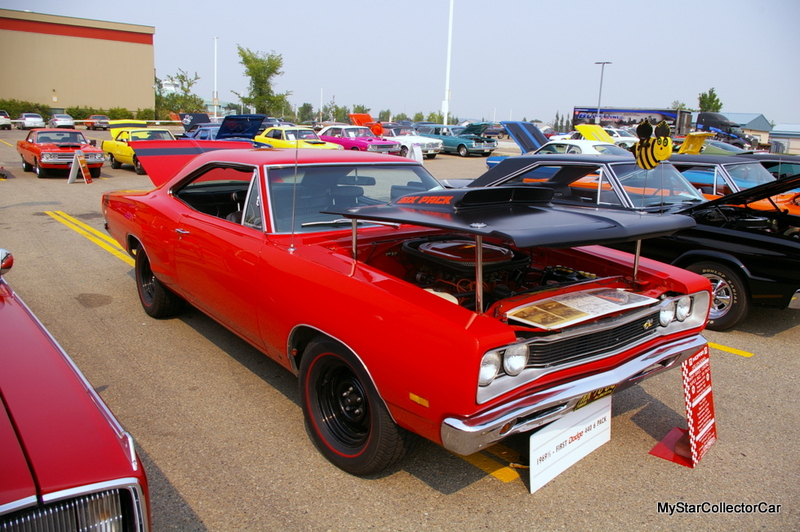 The Central Alberta Mopar Association car show included a 1969 ½ Dodge Super Bee 440 Six Pack and this muscular Mope was also a rare beast. MyStar will tell its story in a future MSCC piece. 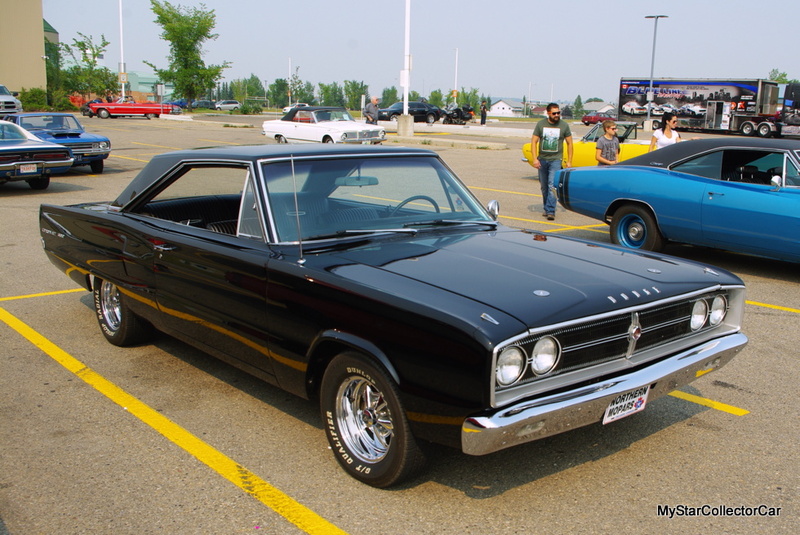 Last-but most certainly not least-in MyStarCollectorCar’s list of car stories is a 1967 Dodge Coronet 500 two-door hardtop that was given a major makeover by its current owner during the 1990s. The story about why and how he restored his Coronet to a standard well beyond its factory level will be the focus of a future MSCC article. There were many good reasons to attend these shows this past weekend and MyStarCollectorCar was in the right place at the right time for both of them. Stay tuned.